Comic Book Creator Subscription (4 issues Economy US) [Starts with NEXT issue] : TwoMorrows Publishing, The Future of Comics and LEGO™ Publications. 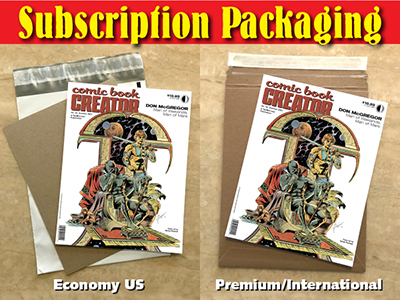 COMIC BOOK CREATOR is devoted to the work and careers of the men and women who draw, write, edit, and publish comics, focusing always on the artists and not the artifacts, the creators and not the characters. Edited by Jon B. Cooke.